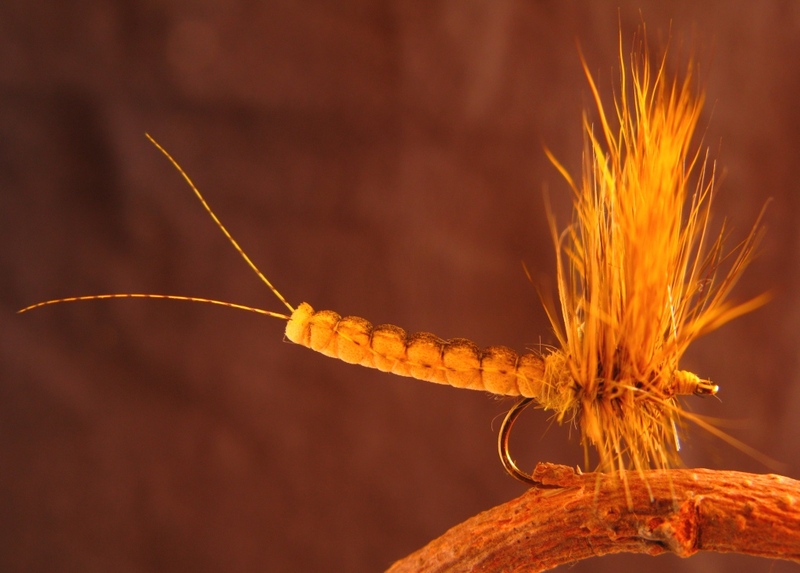 This entry was posted in Dry Flies, Fly Pattern Recipes and tagged BXB Green Drake Coffin Fly Spinner, BXB Green Drake Hairwing Thorax Dun, BXB March Brown Thorax Dun, BXB Slate Drake Thorax Dun, BXB Yellow Drake arachute, Floating Inchworm, Wantastiquet Lake Trout Club. Hi Don, I’ll vouch for the effectiveness of your extended body flies. I’m looking forward to using them this coming season. 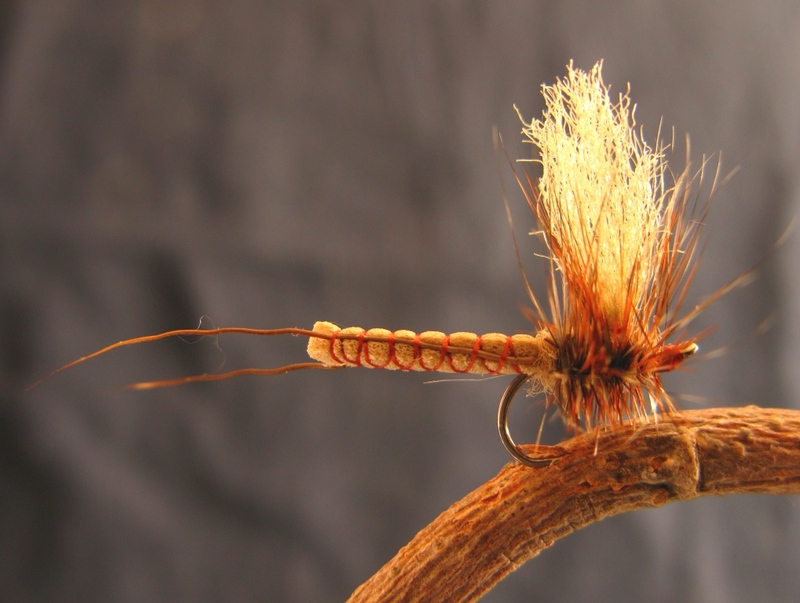 Last June, the fish took them without hesitation during the yellow drakes. Of all the flies we’ve used at the lake for this particular hatch, from my personal experience, these seem to be the ticket. They also look great. Thanks so much for your vote of confidence and personal validation of this pattern style! I really appreciate it! We did indeed find out how well they worked…what great fishing we had with them on the Lake! 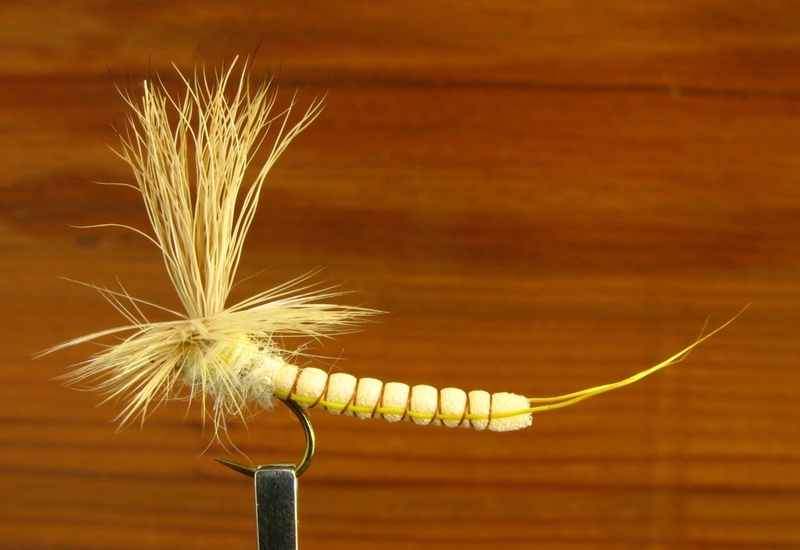 I’m really happy that this pattern is your personal preference to “work the best.” I too, am looking forward to the Yellow Drake hatch on Wantastiquet Lake. Thanks again for your endorsement of the pattern, and thank you for your comment! Wow, Don – those are really great. Extended bodies tied so quickly would make any fly tier smile!! They sure look super; I hope they will be on next DVD! Thanks for your comment and endorsement of these patterns! It is pretty amazing how easy, and quick, they are to make, once you get the hang of the procedure. 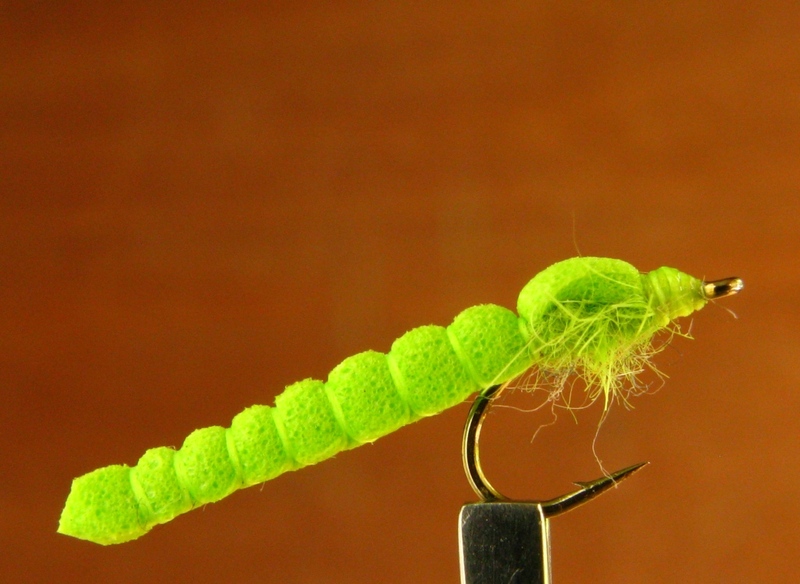 I know there are other extended body patterns out there, using other materials and tying methods, but these, to my knowledge, are the fastest to tie, and quite likely excel over the others in performance (hooking percentage) due to the soft body of the foam that does not prevent a secure hookup with the trout most of the time. Thanks again for your comment! Don, I fished Central and Eastern Pa. for years and I always said the fish were “Edicated”. Some of them must have had PH’D’s! If these don’t fool ’em, nothing will! Apparently Steve has been successful with them, so Congrats on fooling the wiley old geezers that dwell in the depths of Pa. Waters. Some of the trout here may seem to be educated…but you can catch them off guard with the right patterns and presentations. 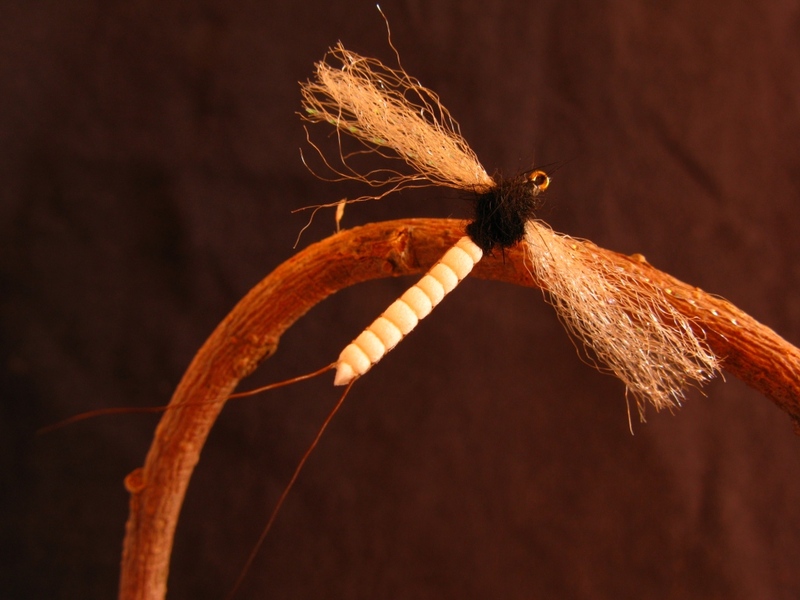 The Slate Drake pattern has been tested here for about eight years…I mostly tied it in the Thorax Dun and Spinner. Both have performed very well. Last June – see the archived post here – Last Night’s Fishing, – my neighbor and I made ten trips over the hill to nearby Lycoming Creek. 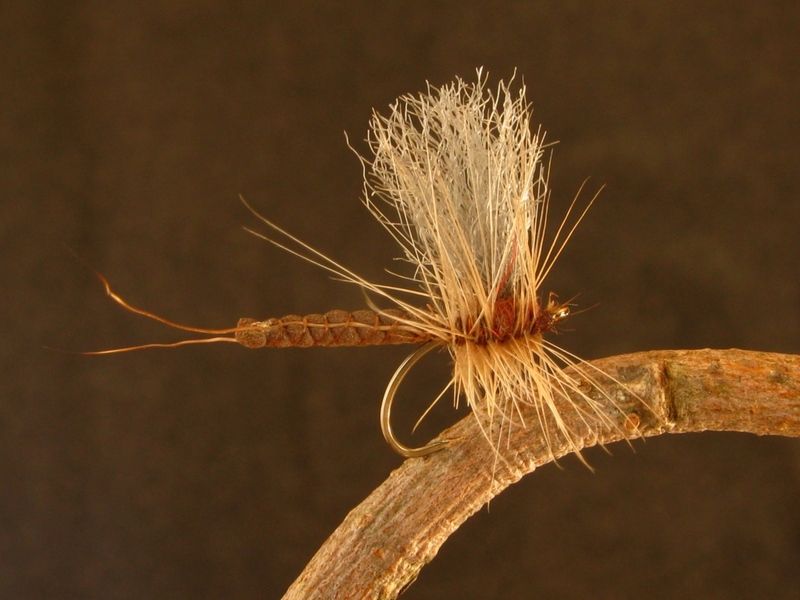 Each evening we used my BXB Slate Drake patterns, and hooked anywhere from six to more than twenty trout each. Not bad for an evening of casting about with drys…the Slate Drakes, aka isonychias, were still lingering about, and the trout were used to seeing them. Thanks for your comment! Hey, you need to return to Pennsylvania one day for more trout fishing. Invitation open for whenever you can get here! Great looking flies. Thanks for posting. Makes me want to get home and warm up the vice.